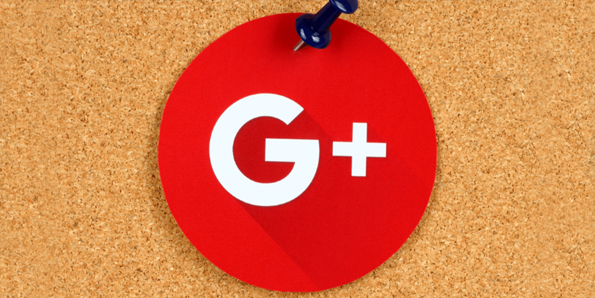 We deprecated Google+ sharing service. We're constantly looking to build more unique features that benefit website owners and their visitors, so if there's anything else we can do to help, leave a comment with your suggestion below! 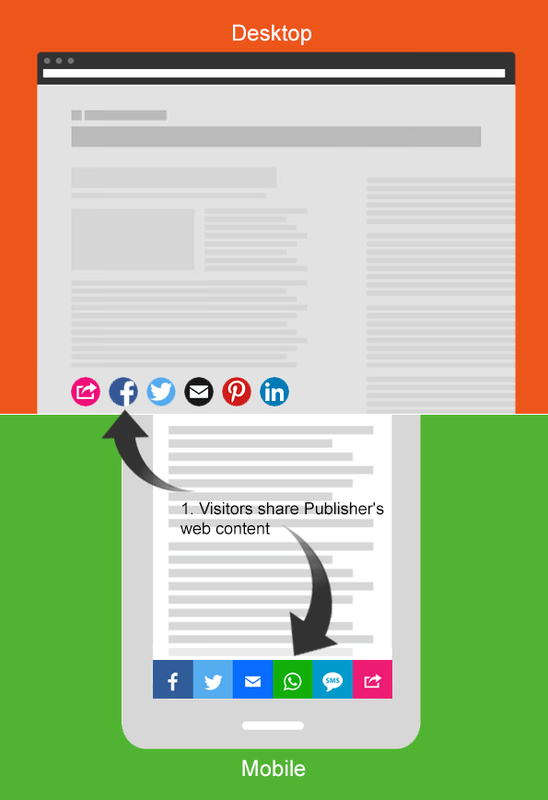 We offer a free and awesome feature for publishers using share counters. 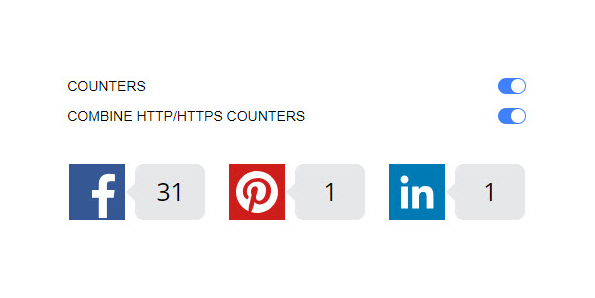 Move to HTTPS now and keep your social share counts, thanks to E-MAILiT. As websites transition from plain HTTP to encrypted HTTPS, publishers are finding that share counts reset to zero. This is because Facebook considers http://example.com/ and https://example.com/ to be completely different URLs. With E-MAILiT Share Count Recovery, it’s just a click of a button switch to combine counts for the HTTP and HTTPS versions of shared URLs. E-MAILiT’s new Share Count Recovery feature enables you to recover any missing shares that may have been lost in the HTTPS change. Once the Share Count Recovery feature is active, E-MAILiT will begin to fetch share counts for both URL’s, add them together and display the combined total. 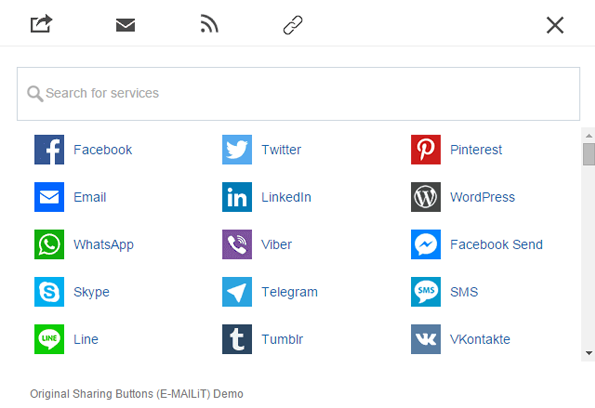 Not yet using E-MAILiT Social Share Buttons on your WordPress, Drupal, Joomla or HTML site? You do not need to have had E-MAILiT installed before your SSL switch. Share Count Recovery should work on any site at any time and activates immediately. We are pleased to announce that we give you the opportunity to share web content to Zalo. 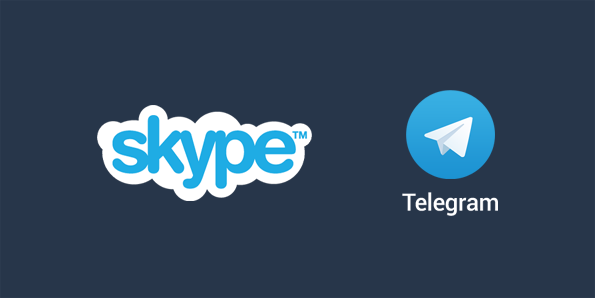 Zalo is a free message and call application on mobile released on 8 August 2012 for iOS, Android, Windows Phone and Nokia Java. 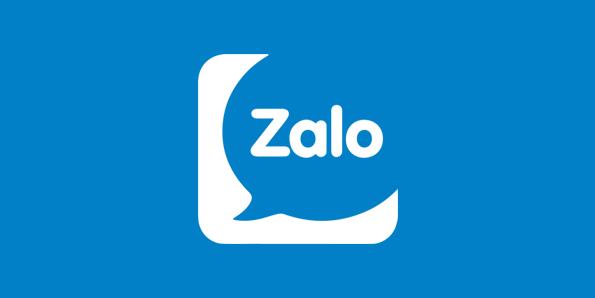 Being officially launched in December 2012, Zalo gained one million users in March 2013 and reached the milestone of 100 million users 5 years and 5 months later. On average, the app is helping people to send about 900 million messages, make 50 million minutes of calls, and deliver 45 million pictures each day. 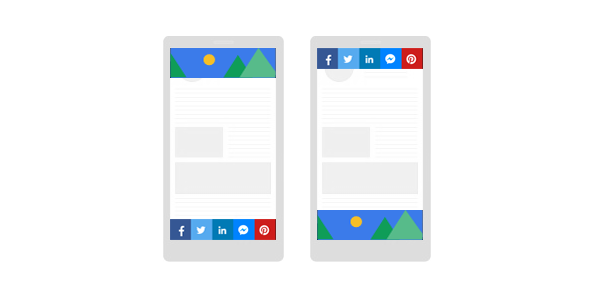 Our Mobile Share Bar is here to help all those mobile visitors share or follow your mobile web content, even easier. Therefore, every Web Publisher of E-MAILiT platform should have access to this service, without any restrictions! E-MAILiT is always looking for new services to include by default, and we work to add any social network or messaging app as soon as it becomes technically possible. *E-MAILiT was the first platform, globally, that supported Viber, Skype and Telegram sharing. Show your Mobile Share Bar to your mobile visitors without any coding and take it to the next level! E-MAILiT’s Mobile Share Bar provides quality features, effective options to get your mobile visitors to share, responsive buttons that shrink when your screen does and gives you the chance to have impressive results. With E-MAILiT there is no reason to know coding in order to match the look and feel of your website, implement good-looking buttons, and even to pay for features you are not so sure about. Anyone can customize design, create and export a favorite sharing solution, with just a few clicks and drag and drop moves. You may test our solution and create endless combinations by selecting any option and setting available in our Button Builder. Lastly, please reach out to us if you've got any questions or thoughts, let us know at @emailit on Twitter. New feature: Share Button Headline Configuration: customize with 4 options available: a) TEXT, b) FONT (select through 14 font families), c) SIZE, d) COLOR. This feature is compatible with any custom html website and any desktop or mobile screen. You may test our new feature and create numerous combinations by selecting any option and setting available in our Button Builder. You can find the Headline Option by scrolling on the page, after the 'Customize your buttons' section. 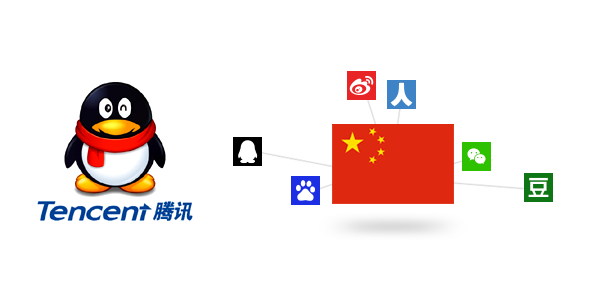 We are pleased to announce that we give you the opportunity to share web content to Tencent QQ, an instant messaging service, with E-MAILiT Sharing Tools! Also, Sina Weibo, Renren, Douban, Wechat and Baidu has already been added to the list of most popular social media sites to share to. We <3 our Web Publishers. We're excited to share with our loyal Mobile / Desktop website owners the following platform updates. We've added 20 new following buttons to E-MAILiT this month! Currently, we support 54 following services (updated constantly). Follow on Reddit by setting up your Reddit follow button. 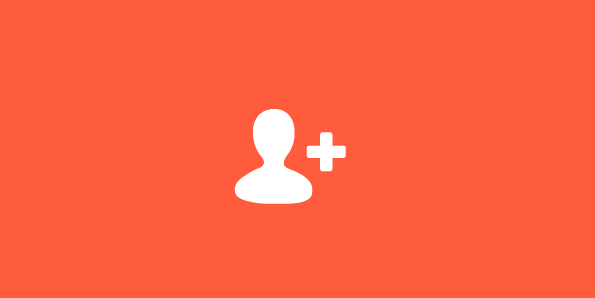 Follow on Product Hunt by setting up your Product Hunt follow button. Follow on AngelList by setting up your AngelList follow button. Follow on Medium by setting up your Medium follow button. Follow on Spotify by setting up your Spotify follow button. Follow on SoundCloud by setting up your SoundCloud follow button. Follow on IMDb by setting up your IMDb follow button. Follow on Blogger by setting up your Blogger follow button. Follow on Blogspot by setting up your Blogspot follow button. Follow on Delicious by setting up your Delicious follow button. Follow on Digg by setting up your Digg follow button. Follow on Messenger by setting up your Messenger follow button. Follow on Email by setting up your Email follow button. Follow on MySpace by setting up your MySpace follow button. Follow on Pocket by setting up your Pocket follow button. Follow on Renren by setting up your Renren follow button. Follow on Slashdot by setting up your Slashdot follow button. Follow on StumbleUpon by setting up your StumbleUpon follow button. Follow on Telegram by setting up your Telegram follow button. Follow on Yummly by setting up your Yummly follow button. Nowadays you're getting more and more traffic from mobile devices, like smartphones and tablets. 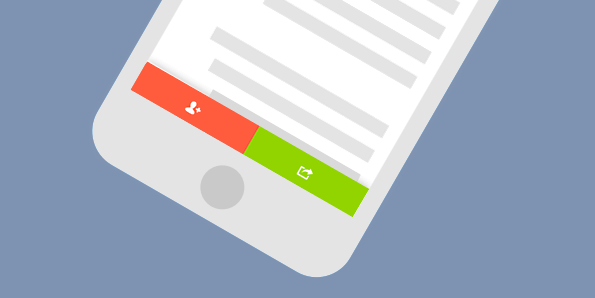 Our new Mobile Share Bar is here to help all those mobile users share or follow your content, even easier. Display a choice of two slightly subtle options ('follow' and 'share'). When a user taps (one of the large (finger-tip size) icons in the Mobile Share Bar) either 'Follow' or 'Share', the sharing and following option/s shoot up from the bottom (or down from the top) of the screen. E-MAILiT gives value to the Web Publishers by focusing on their needs. The E-MAILiT platform helps Web Publishers to experiment and build personalized and sophisticated share and following buttons without coding (all very simple, easy-to-use and user friendly). So with E-MAILiT there is no reason to know advanced coding in order to implement good-looking buttons into your website, and even to pay for features you are not so sure about. 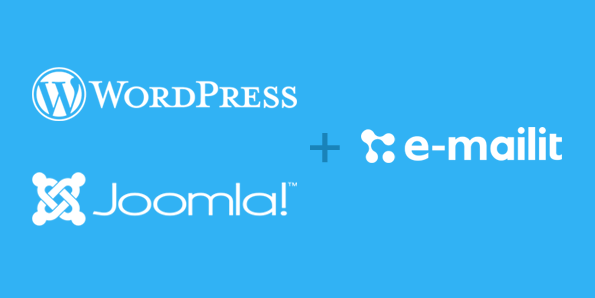 If you are a WordPress or a Joomla publisher, do not do anything. The updated feature will take place in your website automatically. Of course this feature is compatible with any custom html website and any desktop or mobile screen. You may test our new feature and create numerous combinations by selecting any option and setting available in our Button Builder. You can find the Follow button by scrolling on the page and clicking on the 'Customize...' link to the 'Standalone services' section. 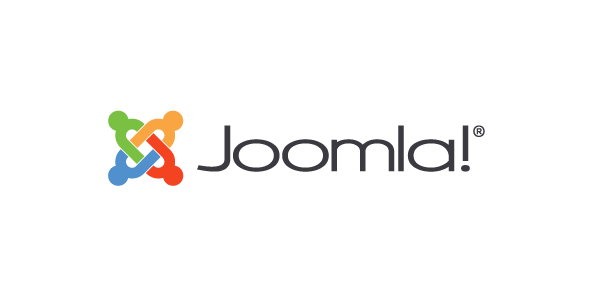 We've updated our Joomla plugin and today we are releasing version 3.1.0 of the plugin. It's way more customizable. Get the share buttons code for your website. So to make it easier to select your buttons, we've created a cool social tool for building your sharing buttons, the E-MAILiT Button Code Builder. 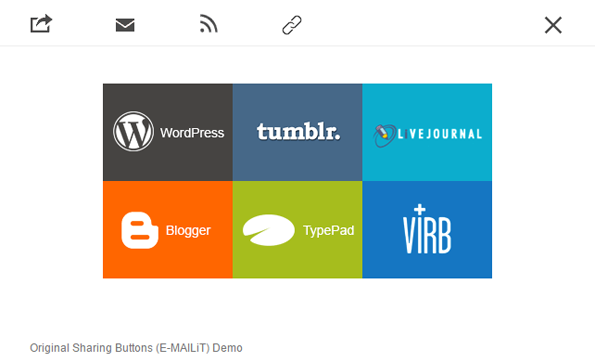 E-MAILiT's share buttons module for Drupal has officially arrived! 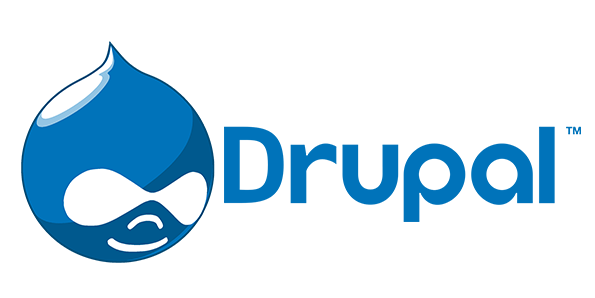 We're excited to bring E-MAILiT sharing to Drupal ‪‎Publishers‬. This brand new sharing module makes it easy to place E-MAILiT on Drupal websites! Don't forget to submit your reviews and make sure to send us your feedback to make the E-MAILiT share buttons the best Drupal module for sharing. One more awesome feature; Brand your share button by including your website's logo, making your social sharing buttons entirely your own or you can add a partner brand / advertiser logo. 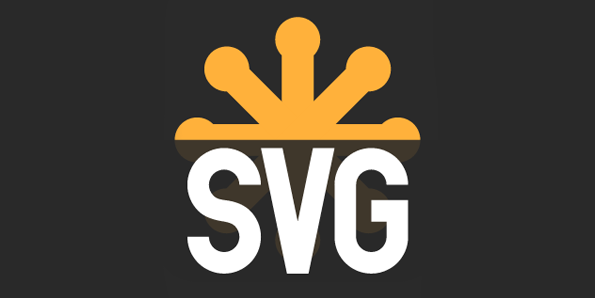 The image size area (width / height) is 50px. You can activate this tool from the administration panel of your website, if you like. Make easy for your visitors to connect with you, saving space from your website canvas, focusing on your sharers and keeping all the generated revenue. E-MAILiT service gives the opportunity to creative ‪agencies, media companies or bloggers to increase user engagement, monetize their site content, earn additional revenue and keep it all. A smart choice for this goal is the use of the After Share Promo tool. E-MAILiT After Share Promo is a simple way to earn money by placing ads on your share button. After hard research we realized that the best way to promote something is after sharing. It's the perfect time to deliver advertising/promotion when your viewers are actively engaged in content they would like to share with their friends. This way you can further increase the users’ engagement with your website. Here are some examples of how you can use the After Share Promo tool to improve your website’s visitor engagement and user experience and increase conversion rates. Is it mandatory to use it? You can deactivate it with an easy and quick process, which takes no more than 2 seconds, including loading time. It’s just a simple click! Update: Version 3. We bring you the best social sharing experience! After several months of hard research, coding and testing, we are very happy to introduce to you the newest update of our social sharing service! We posted it a few days ago, and we think that it’s best one so far! Let’s see together, what’s new in this special update! First of all, new design! Our updated version is really cool, straightforward, user friendly and follows every important rule and trend in the contemporary web. 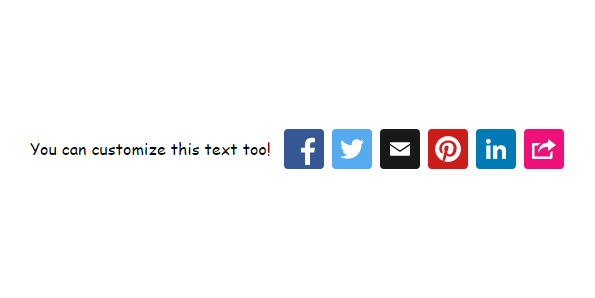 E-MAILiT Share buttons are simple, good looking and full responsive. Their purpose is to cover all the sharing, following and advertising needs of any Publisher’s desktop or mobile visitors. Every button includes the latest updates of every social media network and has been created and customized for every social service. 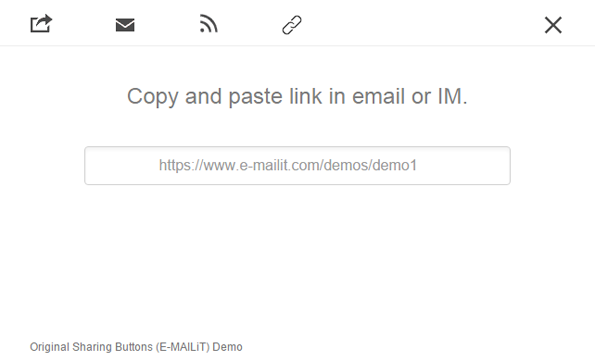 We can say with confidence that E-MAILiT share buttons work and look great on all phone and tablet devices, as they fit on all displays and any theme without any problem. New needs from our online publishers, new features from us! The times are changing and the needs are becoming bigger and more specific. New social networks, new web tools and new updates are coming every day, so we always try to keep up with these changes, to listen to our publishers and make the most for them. This update has many new unique features and many changes compared to the previous versions. You can see new ways to share your content with your audience. We increased the list of our services and at this time the newest version of E-MAILiT supports more than 130 social sharing services and integrates with any website, except for WordPress, Joomla, Drupal and Blogger platforms which have their own plugins. Apart from common and popular social networks, E-MAILiT supports Facebook Messenger Send, WhatsApp, SMS Client (includes Apple's iMessage), Viber, Line, Telegram, Skype and many others. But, we don’t stop at social sharing action! E-MAILiT is the first free social sharing service that offers After Share Promo, adjusted exclusively for your own sharers. Our integrated Social Cycle engagement suite, makes easy for your visitors to connect with you, through social profiles, blogs, feeds and other social sources on the internet. 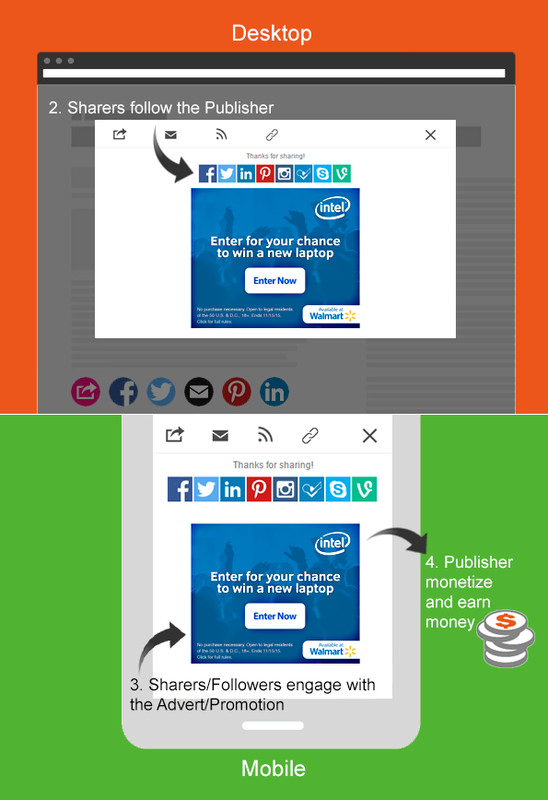 E-MAILiT Adverts give you the opportunity to earn money from your sharing buttons. Monetize the sharing of your site’s content by creating a new source of income while enjoying higher click through rate (CTR). After research, we have reached the conclusion that after sharing it’s the perfect time to deliver advertising/promotion when your viewers are actively engaged in content they would like to share with their friends and connections. All of these are offered through a clean and user friendly interface, mobile-optimized, easy to install and customize it for your own website. E-MAILiT is totally free for everyone, with no website registration and no coding knowledge is required, and all branding is completely removed without spending a dime. Make it look like you paid for this customized solution. 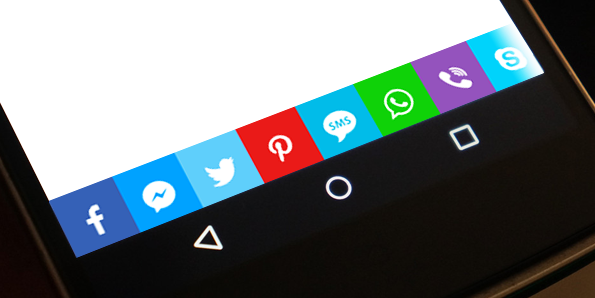 A supercharged update, bringing you the best mobile and desktop social sharing experience. Over the next few days, we are rolling a brand new design for the global Mobile-Optimized Sharing Menu. So what’s new? New Design. More Features. All web browsers are supported in this update, devices, and configurations. We released 1 New sharing service into the E-MAILiT sharing menu. Yummly was launched in 2010 by foodies on a mission to invent the ultimate kitchen tool. Whether it’s finding a recipe or going to the store, Yummly wants to make it easier for foodies to do what they love – cook, eat, and share! Yummly’s mission is to be the world’s largest, most powerful, and most helpful food site in the world. Make easier to increase your content distribution, generate revenue and measure social analytics. E-MAILiT provides a simple, quick, and easy way to share your content, grow your audience, and create traffic back to your site. E-MAILiT has been downloaded over 200k times by WordPress website owners from all over the world. E-MAILiT is a profitable bootstrapped startup, with over 600 million widget loadings and over 300 million users to-date. 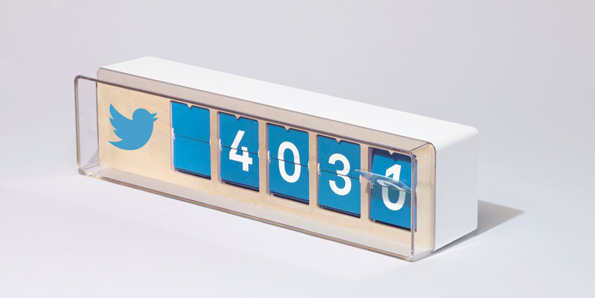 Served 2.3 million share buttons per day and reached 1.2 million users per day. Currently, our dev team is working hard to present to you, our Publishers, awesome features which will change the way you are sharing until today! Have a WordPress site? Get up and running, edit or turn off without touching any line of code. Thank you for using E-MAILiT sharing tools for your daily social networking experience! 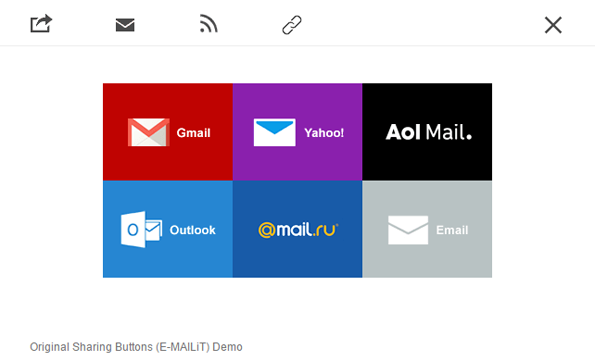 Today we released 1 New sharing service into the E-MAILiT menu (desktop and mobile). 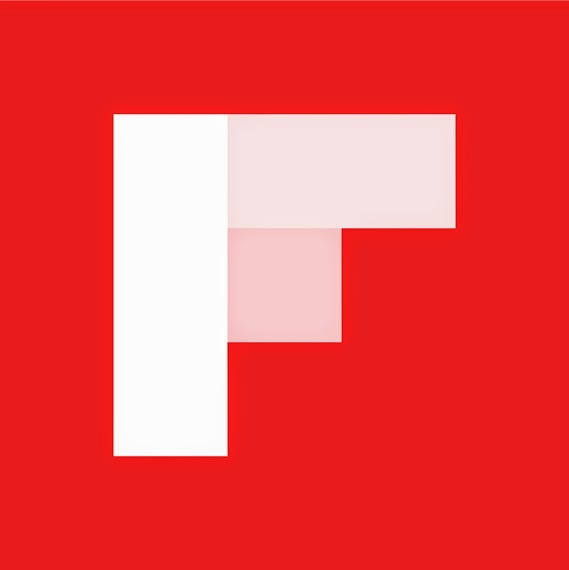 Flipboard is a single place to discover, collect and share all the news you care about. And now Flipboard gets even more personal with the addition of over 34,000 topics to follow. Flipboard is your personal magazine, filled with the things you care about. Catch up on the news, discover amazing things from around the world, and stay connected to the people closest to you—all in one place. TakeLessons and AGRICULTURA 92.1FM uses the E-MAILiT social tools for their sharing completion! Our solution inspire influencers and audiences and our new featured publishers choose us to share their unique informative content. From now on, each month we will publish a report of the top most active and top destination social sharing services. Below is the report for the top sharing services for September. Don’t have our button on your website or blog yet? Click here and get it now. It will really help your visitors share your website pages, and help you increase your social traffic. We will shut down Orkut on 30 September 2014. Until then, there will be no impact on you, so you may have time to manage the transition. You can export your profile data, community posts and photos using Google Takeout (available until September 2016). We are preserving an archive of all public communities, which will be available online starting 30 September 2014. If you don't want your posts or name to be included in the community archive, you can remove Orkut permanently from your Google account. Please visit our Help Center for any further details. Wanelo is a community for all of the world's shopping. 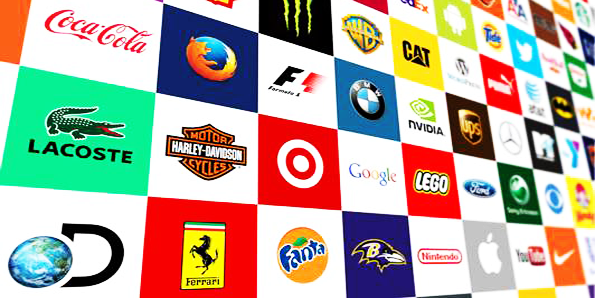 It brings together all stores and products into a single social platform, unfettered by advertising. You can buy almost everything you see on Wanelo, and everything is posted by users. When the share plugin published for WordPress, in May 2013, the E-MAILiT share button has been incredibly popular since, downloaded over 100,000 times by WordPress publishers from all over the world. This button has been installed by over thousands websites, displaying across the web over 30 million times each month, reaching over 10 million unique users every month, in 235 countries, reaching over 4 million U.S. unique visitors every month, with 200,000 social interactions per month. Thank you for using E-MAILiT share buttons for your daily social networking experience! The behavior of Hyves have been modified and it no longer supports sharing. 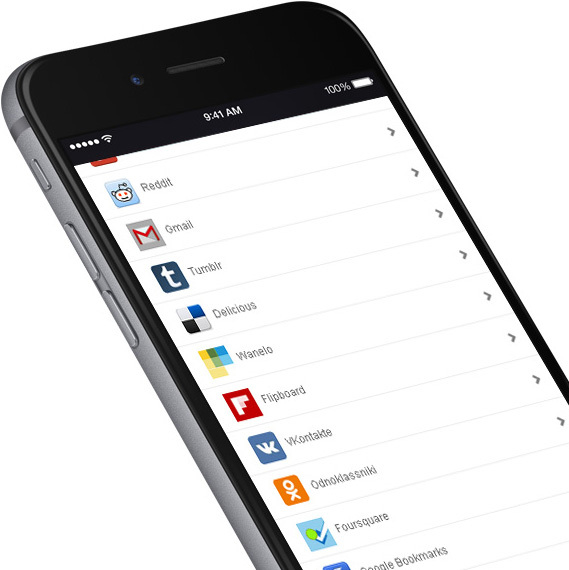 We released 1 New sharing service into the E-MAILiT menu (desktop and mobile). The E-MAILiT Team wishes you Merry Christmas and a Happy New Year! Last but not least, we want to IMPROVE OUR COMMUNICATION both with our publishers and our users! Feel free to contact us via Facebook, Twitter and email or check our blog for new updates! We’ll be more than glad to make your sharing life a lot more easier! Once again, we want to thank you for the support and trust your are giving to E-MAILiT! We promise to keep working hard in order to provide our users with the best sharing experience! E-MAILiT JUST HIT 50,000 WORDPRESS DOWNLOADS! Thank you for making E-MAILiT.com one of the fastest growing wordpress plugins of November 2013! Our goal is to make Post Sharing a better experience! We are back! Thank you for your love to us! In the last 12 hours we received an extremely huge amount of requests and new registrations, for our share button, after the last WordPress version update (http://wordpress.org/plugins/e-mailit/changelog). We had a network outage. Our buttons, our website, analytics, and web services were unavailable. We truly apologize for the outage. We thank you for your love to us :-) though. Your <3 caused a total server down issue and we tried very hard with our host and CDN providers to turn our systems back to normal. After this, our developers, working hard to optimize more and more our platform and we’ve made changes to reduce the risk of further network outages. Currently the system is stable and the Sign In process is working properly. Thank you in advance for your patience and for your understanding. 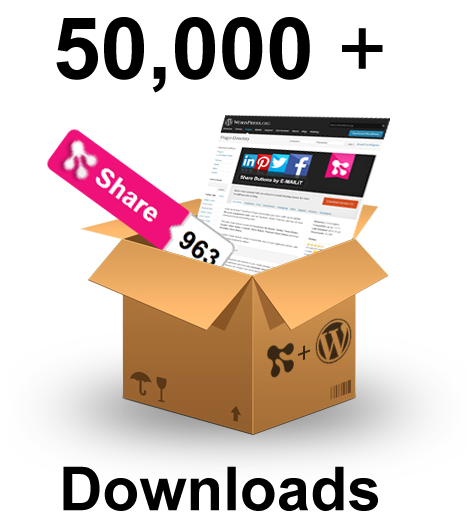 Over 30,000 WordPress downloads for the share plugin! 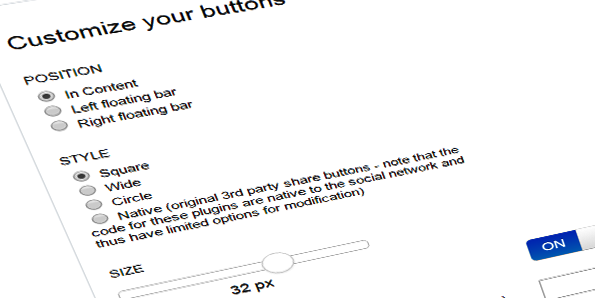 Over 30 THOUSAND downloads of the Share plugin for WordPress! E-MAILiT's Community <3 our service. 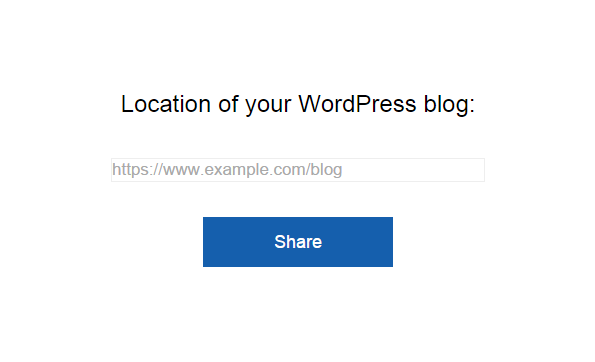 WordPress - My new favorite All-in-One sharing button! 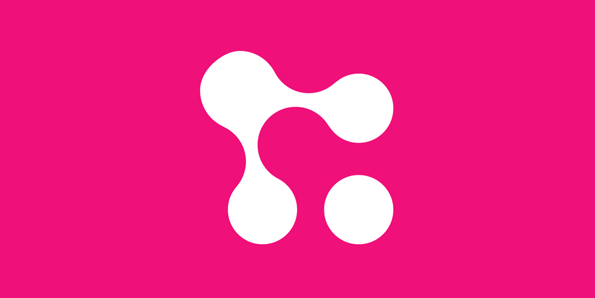 E-MAILiT has been added to Softpedia's database of scripts, code snippets and web applications. It is featured with a description text, screenshots, download links and technical details on this page. The easy and simple to activate E-MAILiT WordPress plugin allows publishers, webmasters, web designers and developers to show social sharing and bookmarking buttons on their site, in any position, with any UI style. E-MAILiT also comes with its own sharing analytics service for tracking sharing actions amongst site users. E-MAILiT, ή αλλιώς το sharing αλά... ελληνικά! via email: I use E-MAILiT because it is the safest way to share my favorite websites. via email: E-MAILiT enables our content sharing through all social networks, easily and in no time. via email: E-MAILiT is a useful Blogging tool. 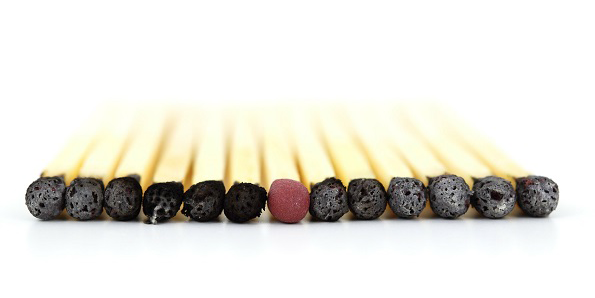 Engage Blog Readers and encourage loyalty. Yahoo is buying Tumblr. Why we care about it? This is the new updated list of the supported languages (#75) by E-MAILiT. Is there any language that you don't see and you would like to include? Ελληνικά, Afrikaans, Albanian, Arabic, Armenian, Azerbaijani, Basque, Belarusian, Bengali, Bosnian, Bulgarian, Catalan; Valencian, Central Khmer, Chinese, Croatian, Czech, Danish, Dutch; Flemish, English, Esperanto, Estonian, Faroese, Finnish, French, Galician, Georgian, German, Gujarati, Haitian, Hebrew, Hindi, Hungarian, Icelandic, Indonesian, Irish, Italian, Japanese, Kannada, Korean, Kurdish, Latin, Latvian, Lithuanian, Luxembourgish, Malay, Maltese, Mongolian, Northern Sami, Norwegian, Pashto, Persian, Polish, Portuguese, Romanian, Russian, Serbian, Sinhala, Slovak, Slovenian, Spanish, Sundanese, Swahili, Swedish, Tagalog, Tamil, Tatar, Telugu, Thai, Tswana, Turkish, Ukrainian, Urdu, Vietnamese, Welsh, Yiddish. We released 2 New sharing services into the E-MAILiT menu. Odnoklassniki [Однокласники — соціальна мережа, у якій ви можете спілкуватися з усіма вашими друзями, рідними і близькими, де б ви і вони не знаходилися. З Однокласниками друзі завжди поруч]. 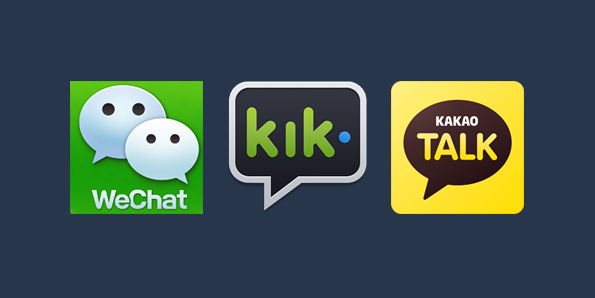 We deprecated three sharing services. Posterous. Posterous will turn off on April 30. Learn more from Sachin Agarwal, Founder and CEO http://blog.posterous.com/thanks-from-posterous . And Plaxo & Squidoo. The behavior of these services have been modified and it no longer supports sharing. We are happy to announce E-MAILiT New Featured Publisher: Hellenic Startups Association http://hellenicstartups.gr H.S.A. uses the E-MAILiT for their sharing completion! Our solution inspire H.S.A. 's influencers and audiences and they choose us to share their unique informative content. We released one new sharing service into the E-MAILiT menu. FAVable [FAVable gives users the capability to save all their bookmarks online].